Kinetica Museum curate national and international touring exhibitions, and produce the annual Kinetica Art Fair. Kinetica has no fixed or permanent museum space, and instead creates truly kinetic, dynamic exhibitions in varied environments. Kinetica Museum has emerged from an urgent British cultural need to provide an international platform for contemporary artists working in the realm of interdisciplinary new media art. It also aims to recognise the strong historical lineage of kinetic art and the impact of significant works from our recent past. Kinetica aims to champion artistic innovation of all kinds and to showcase ground-breaking artists to not just the regular ‘art-goer’ but to a new generation of viewers who will engage, participate and create with the art itself – a growing audience with a fascination for art that has a life of its own, one that is kinetic. For several years Kinetica has aimed to encourage and promote collaboration and cross-over between artists, scientists, technologists, engineers and academics in order to promote the development of this advancing multi disciplinary field. Between 2006 and 2007 Kinetica hosted a dynamic series of exhibitions at its museum space in Spitalfields Market, London. The museum received international recognition for its exhibitions, workshops, performances and artist talks. Some of the most important examples of kinetic, technological and electronic art, both past and present, were showcased through seven major exhibitions. From 2007 Kinetica began to take its groundbreaking exhibitions and artists all over the world, and the first annual Kinetica Art Fair was held in February 2009 at Ambika P3, where it has been held annually ever since. In 2011 Kinetica introduced a new Artists’ Membership and profile scheme to further support the increasing number of artists and practitioners working in these fields. 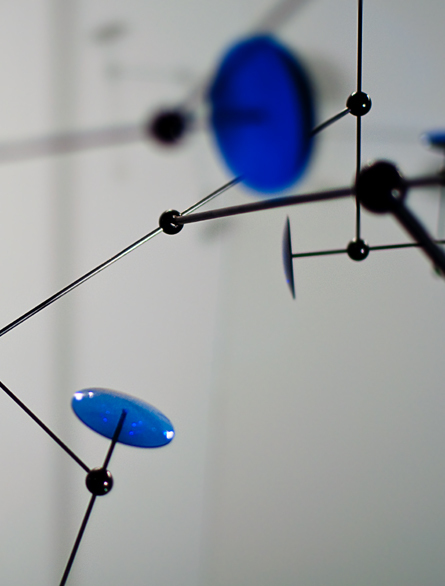 The feature exhibition for Kinetica Art Fair 2012 includes selected works from the Oxygen scheme, providing more exposure for emerging and undiscovered talent, and a new platform for established artists. There is a growing recognition of the contribution that art and artists have made to questions about mind, nature and existence. Artists exhibiting under the Kinetica ‘Umbrella’ can be generically termed as ‘transdisciplinary performative users of knowledge’, as they extract knowledge from many disciplines. Through their own artistic process and appropriation these artists re-present and often simplify concepts to produce challenging results and new ways of thinking. The ethos of Kinetica through its continually expanding repertoire of exhibitions is to heighten, explore and further the quest of the human spirit by exhibiting engaging and performative works of art that question and challenge the boundaries of mankind’s future developments.